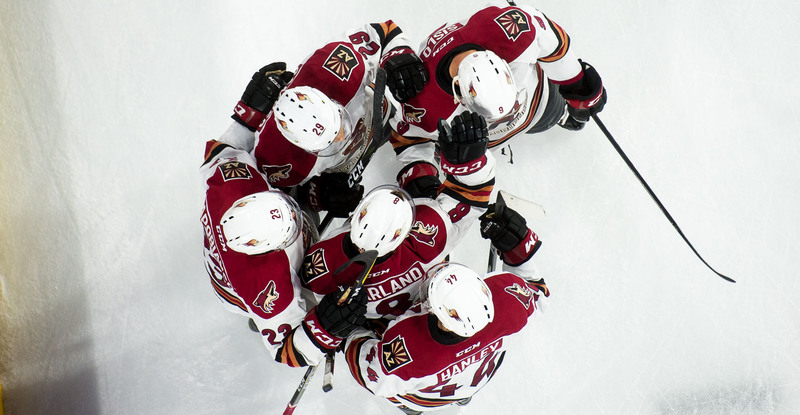 Conor Garland, on pure hustle, netted the game-winning goal with 2:01 left in regulation Saturday night to catapult the Roadrunners to a 2-1 victory over the Bakersfield Condors at Rabobank Arena. One week ago in Stockton, Garland did almost the exact same thing - burying the deciding tally in the final minutes of play. He has thrown down three multi-point performances in the team’s last four games. He and Michael Bunting connected to open the scoring just under five minutes into the second period, when the two executed on a fantastic zone entry to give the Roadrunners a 1-0 lead. Upon entering Bakersfield’s zone, Bunting dropped the puck off for Garland, who then found his way low, attracted defenders, and slipped a pass back to Bunting, who then beat Laurent Brossoit with a shot high from point-blank range. Bunting’s goal was his 18th of the season and his third in the last four games. With just under eight minutes left to play in regulation, the Condors finally got a puck past Hunter Miska, Ty Loney redirecting a point shot in to tie the game 1-1. Miska had gone 122:18 minutes without allowing a goal prior to Loney’s marker. 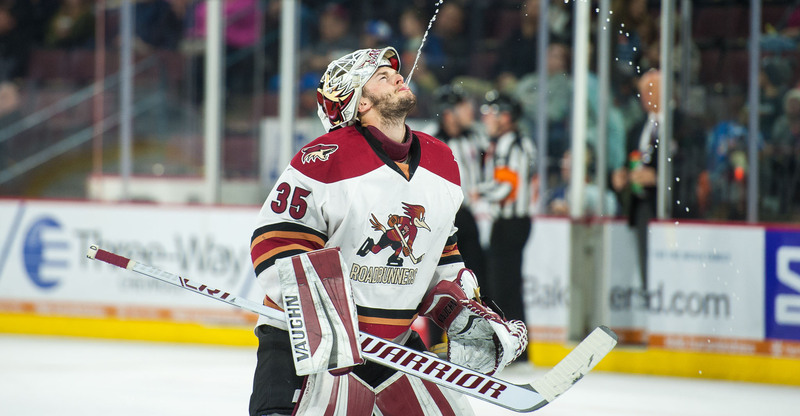 In the late stages of the third, Garland swooped up a loose puck from behind Bakersfield’s net, swung out around the right side and buried his own rebound to give the Roadrunners a 2-1 lead with 2:01 left to play. Garland has six points (3G, 3A) in the last four games. The Roadrunners kept the Condors off the board during the final two minutes, despite having to go on the penalty kill, to secure the victory. They finished their regular season series against Bakersfield with a 7-1-0-0 record. The team has now earned points in nine of its ten games played during the month of March, posting a 7-1-2-0 record. With an overall record of 36-18-5-1, which translates to a .650 points percentage, the Roadrunners have claimed first-place in the AHL’s Western Conference. Miska stopped 19 of the 20 shots he faced to earn the win, his 19th of the season. He has only allowed a combined three goals in his last three starts. The Roadrunners will continue their road trip Sunday afternoon when they take on the San Jose Barracuda at the SAP Center, where the puck is scheduled to drop just after 3:00 PM PST.